Given that my blog revolves around walking, you might find it odd to learn that I’m a bit of a car guy. I’ve owned a number of cars over the years; have admired many, many more; and have read numerous books and magazines about cars. I don’t collect cars, though, and don’t have pictures of them up in my house: I’m not that big of a car nut. But I’ve always been drawn to them for some reason. My attraction to the automobile is likely related to the freedom that owning a car represents. I obtained my license as early as I legally could, and from that moment on I was driving as much as possible. For quite some time, of course, that meant driving my mom’s station wagon: it was quite a while before I could afford a car of my own. That first car turned out to be a “hand-me-down,” obtained from my older brother when he went off to college. I loved that car, which was a silver Chevy Vega wagon (think “Ford Pinto,” but made by Chevy). Then, in my senior year of high school, I was able to purchase my first-ever new car: a Ford Fiesta. Given that I was in my late teens when I bought my Fiesta, you might wonder how I managed to survive the new-car buying process. Well, I had two things working in my favor. First of all, my father took me to the dealership and showed me the ropes. And secondly, the gentleman who owned the dealership was a friend of my father’s. Together, those two elements made the experience both smooth and pleasant. And that experience—and subsequent ones I have had over the years—gave me an appreciation for automobile dealerships and for the car-buying process. Having such a large dependency on a single industry can be trouble, however. Indeed, from the 2016-2017 budget there is this: “Two categories in which the City currently receives significant sales tax revenue are transportation and general retail, but as the models for these businesses change, City sales tax revenue will weaken in these categories.” And the models do seem to be changing. Younger adults, in particular, seem less interested in owning a car and more inclined to structure their lives so that car ownership is simply not necessary. Services such as Uber and Lyft are enabling this new car-free lifestyle, as are short-term rental services such as Zipcar. And self-driving cars, although still in the future, will likely make on-demand rental vehicles even more available and convenient, making individual car ownership even less important. 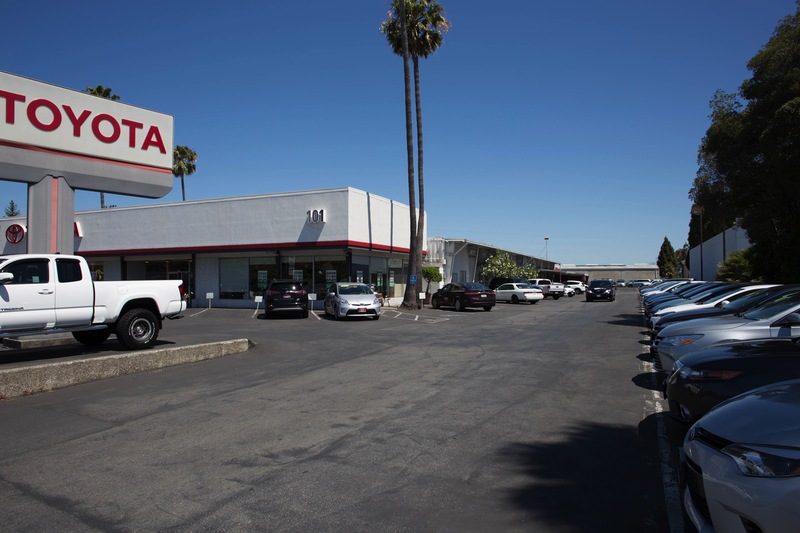 The automotive industry may be heading for a decline, but you wouldn’t know it by looking at Redwood City’s dealerships. We are losing one—Honda Redwood City—which will certainly cut into our sales tax revenues, but they aren’t going out of business. 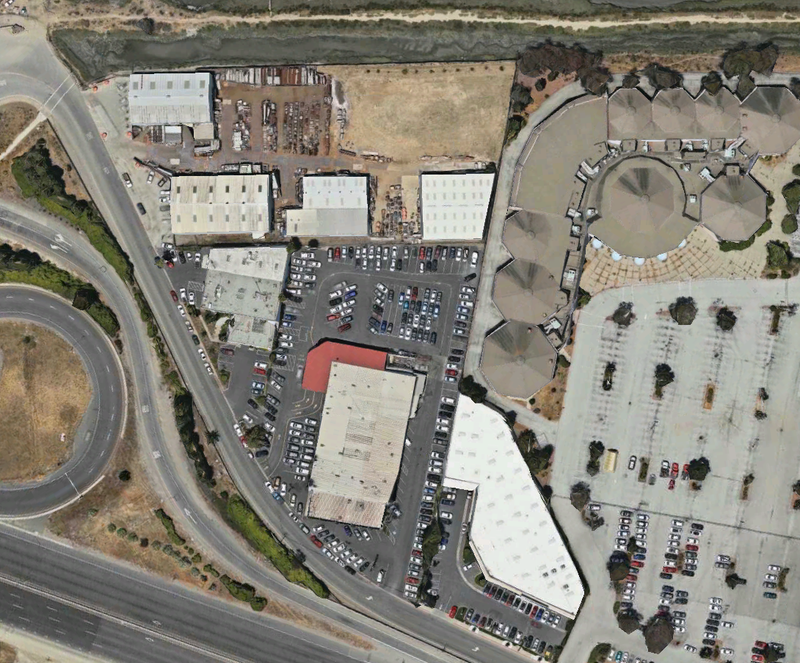 Instead, Honda Redwood City is moving to a new, larger location not far away. 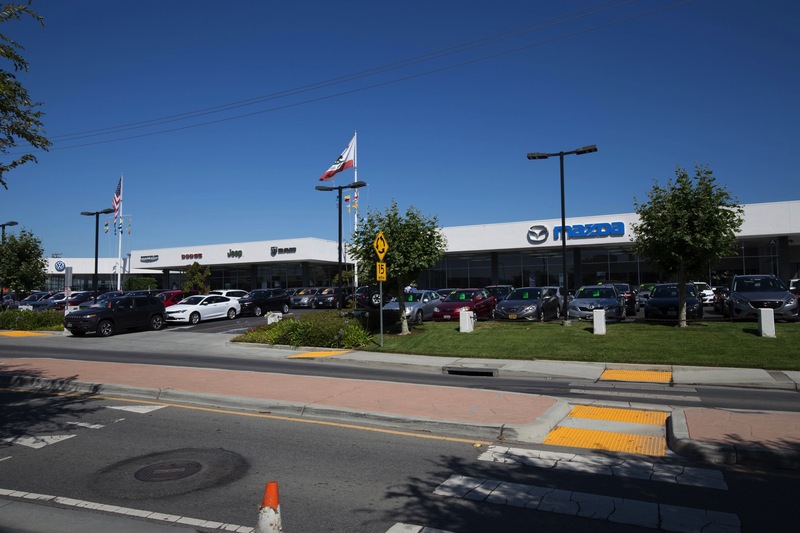 Meanwhile, two or three other Redwood City dealerships appear to be expanding, further showing a level of confidence in new car sales in our area. Alan Steel occupies the four buildings at the top of the above photo, which as you can see all sit on a parcel that is close to rectangular. The three buildings towards the middle and bottom of the photo are Thompson Toyota (the strangely shaped building is, I believe, the new car showroom). If I had to guess, Thompson Toyota would expand towards the top of the photo, either onto their own surface lot or perhaps into what looks to be a large dirt lot on the Alan Steel property. Land Rover Redwood City, which is tucked in behind Crunch Fitness (at Whipple and Veterans) is not moving, but as I’ve noted before they definitely seem to be expanding their used-car sales into part of the now-empty dealership that sits at the prime corner of Whipple Avenue and El Camino Real. As far as I can recall the small building right on the corner has always been a used-car sales office, although it also (I believe) was always associated with the next-door new-car dealership. 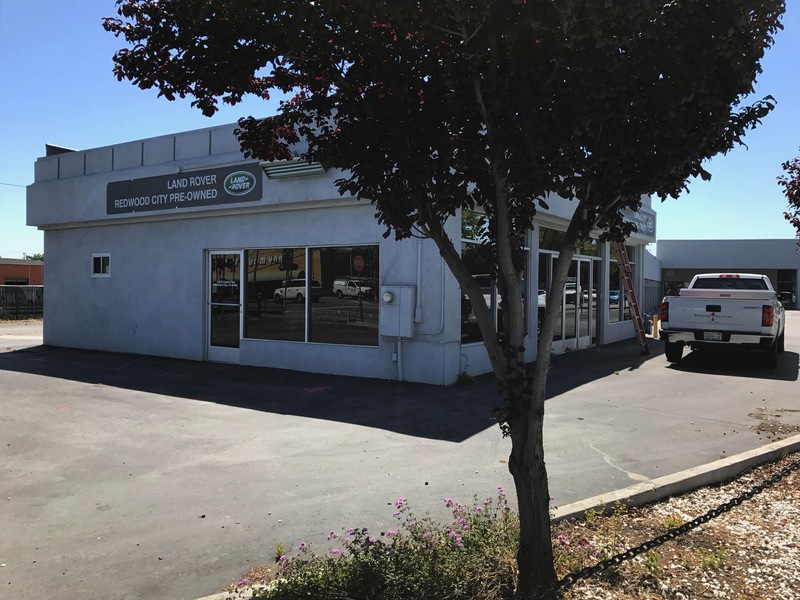 Land Rover Redwood City appears to be taking over the small used-car office and the surrounding lot, but doesn’t appear to be taking over the adjacent empty showroom and service center. Still, this is appears to be an expansion of the Land Rover dealership, which would seem to be a good thing. And speaking of dealerships that are expanding, put Carlsen Porsche on that list. Today Carlsen Porsche sits on three parcels that together add up to more than 71,000 square feet of land. They currently have a single 17,300 square foot, two-story building that contains their showroom, their offices, and a service center with seven bays. 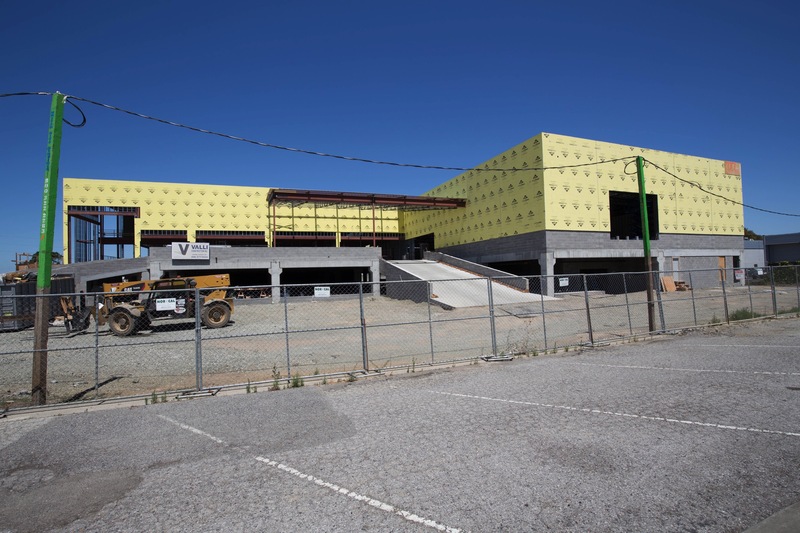 Their plan is to more than double the size of the building: they will be adding almost 11,000 square feet of showroom and sales space, 4,400 square feet of office area, 13,500 square feet of service area (which includes fifteen additional service bays) and 4,900 square feet of parts storage. Many industry watchers are predicting that new-car buying will slow, partly due to changing attitudes among the younger generations and partly due to the new technologies and services that make car ownership less important. Redwood City’s budget acknowledges the uncertainty around the future of new car sales, and notes the upcoming loss of Honda Redwood City. But other local dealers appear to be bucking the trend, and doubling-down on their Redwood City dealerships. As someone who likes cars, I’m pleased to see that Redwood City will apparently remain a place to go for people looking for a good deal on a set of new wheels. There’s also the lost dealership(s) that have occupied the Whipple and ECR location. A couple of different brands had located there. But they have moved on to better locations. That is a great corner that needs redevelopment. Here the plans for the Old Century Theatre. EIR scope starts Tuesday. Indeed, I’m looking forward to Tuesday’s Planning Commission meeting where this will be discussed.